The most popular web companies rule the market and try to make our online experience more interactive and profitable for us. Internet giants create various revenue sharing and cash-back offers, which give simple users, like us, an opportunity to make money online and receive free prizes just for being active on the web. Squidoo.com with their “get paid to write” offer and Uploading.com, which pays money for uploading files are two examples of how popular websites encourage us to be active on their projects and give us money for our activity. Bing.com wants to keep up with those, who have already realized the advantages of using revenue sharing on their websites and now they launched a Bing rewards program. Bing.com – one of the largest search engines, which is owned by Microsoft, has a new service for us. 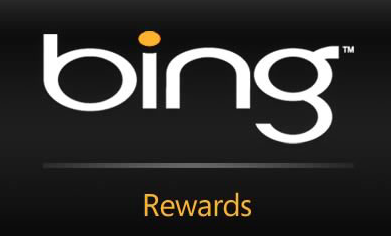 It is called Bing.com rewards and here we can earn special points for using Bing.com and other Microsoft products. Every search on Bing, installation of Bing toolbar and testing of their new features – these actions will give you special points. These points are redeemable for various prizes (visit their website for more information but from what I have read, points could be exchanged for Xbox, Pc games and Microsoft Points). Also it should be stated that in order to use Bing.com rewards and earn money for using their search engine you need to have IE with a Bing toolbar installed. Making money by using search engines is not a new concept. There are been several good revenue sharing websites, which provided money and prizes for being active on their websites. Right now there are only two good players in this business – Irazoo.com and SwagBucks.com. All these websites are using a simple concept – they encourage active member participation and improve the revenues of their online projects. From the user point of view, Bing Rewards, as well as other get paid to search websites, are a good way to earn money online by keeping up with your daily internet routine. If you already use Bing or don’t care which search engine to you, then why not earn some exciting prizes or get free gift cards? I do hope that you like my articles and would like to receive free work at home updates. Please subscribe to IncomeBooster.org and leave your comments below. Thanks for reading and I wish you the best of luck in making money online for free.